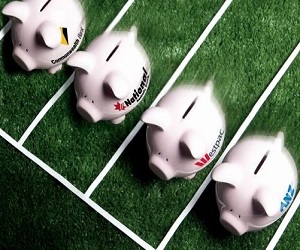 Westpac has announced a 64 basis point two-year discount on new Flexi First Option home loans. The discount, effective Sunday 19th July 2015, will bring the variable rate down to 4.19% (comparison rate 4.72%) before converting to 4.83% after the two year discount period. The campaign also coincides with an up to 85% no LMI cost offer for owner occupier new home loan applications, recently launched to the mortgage broker market. “These promotions provide the ideal solution for home owners or purchasers that simply want a basic ‘no frills’ loan, with redraw facility, no $600 establishment fee and no ongoing monthly or annual fees with a leading variable rate from Westpac,” Tony MacRae, Westpac’s general manager third party distribution said. The new two year introductory offer applies to applications processed from Sunday 19 July with conditional approval by Monday 31 August 2015. Now all they need to do is become as user friendly as some of the others ! !